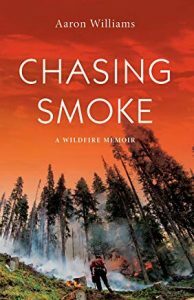 British Columbia’s weather and geography—hot dry summers, steep terrain, and population density in forested areas—make it one of the most difficult places in the world to fight forest fires. 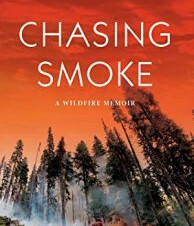 Chasing Smoke is an enthralling insider-account of how a fire season unfolds. Experienced firefighter Aaron Williams offers a tangible window into the intensely physical, high-adrenalin lifestyle shared by his crew of eccentrics, all eager to be on the front line. Williams shares what it’s like to work sixteen-hour days in an apocalyptic landscape, where the smoke is so thick your snot runs black and you need to drink ten litres of water a day. What it’s like to make a stupid mistake and singe your beard in front of your crew, or spend hours hosing a spot the size of a queen mattress and still not extinguish the burn. What it’s like to hear a tree fall, a co-worker’s shout, and imagine the worst.